The late Christopher Hitchens is best known for his book god is not Great: How Religion Poisons Everything. He was an aggressive atheist who made his living blaspheming God. So why would we want to know more about him? And why would Christian author Larry Taunton want to write a book about him? Because this book is much more about God’s graciousness than it is Hitchens’ rebellion. And because Hitchens wasn’t quite what he seemed. Taunton writes of Hitchens having “two sets of books” just as fraudulent accountants do, with the one set for the viewing public, and the second private set that give the true tally. Hitchens’ public face was that of the confident anti-theist who thought it made good theater to claim God was both unforgivably evil and non-existent. Meanwhile the private Hitchens was spending more and more time with God’s followers, calling some of them friends, and even studying the Bible with one or two. If he wasn’t deliberately seeking God, this other Hitchens’ interest in the truth was bringing him closer and closer to his Creator. 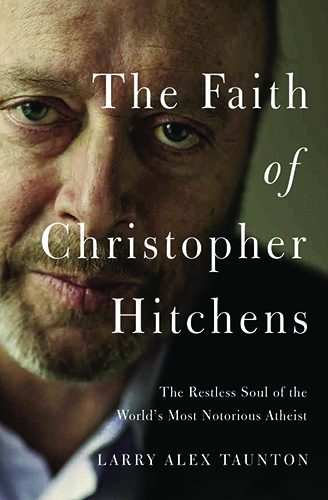 The author, Taunton, got to know Hitchens after arranging public debates between Hitchens and prominent Christians. Often times after these debates the two public combatants, Taunton, and others, would head out to a late dinner where the debate would continue. This is how Taunton and Hitchens became friends. When Hitchens was diagnosed with terminal cancer the late night debating seemed more important to them both. God not only brought Christians into Hitchens life, He also gave this materialist a sure knowledge about the reality of evil. The atheistic/materialistic worldview has no room for right and wrong – things just are. We don’t speak of chemical reactions as having any sort of “moral quality,” and in the atheist worldview all we are is chemical reactions. So when atheists speak of evil they are speaking of something they have no explanation for. Hitchens seemed to understand this, but, particularly after the 9/11 terrorist attack, was also certain there was evil. Hitchens bravely denounced radical Islam, which lost him friends among the Left, but more importantly exposed – seemingly to Hitchens himself – the big hole in his godless worldview. It was another nudge in a Godward direction. 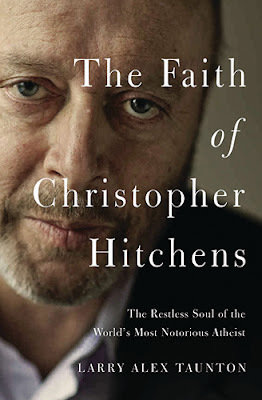 While Taunton doesn’t make any claims about a deathbed conversion for one of the world’s most notorious atheists, he shows us that God was ever so gracious to Hitchens, confronting him, pursuing him. We don’t know if Christopher Hitchens ever repented, but we do know God gave him every opportunity. The only caution I’d add is that some of the Christians mentioned in the book – who debated Hitchens and gave him something to think about – have a notable flaw in their theology, that being some sort of bow to theistic evolution. This isn’t a concern in this book (it doesn't come up) but I share this only as an alert to any readers who might be spurred to look up the works of these mentioned men. This is a close-up look at a wavering atheist that concludes without a clear happy ending – that makes it strange, particularly for a Christian-authored book. But the glimpse at what God was doing in Hitchens’ life makes this a compelling book. God gave Hitchens time, allotting him 16 months after his initial terminal cancer diagnosis; He brought him into close company with men who were able to answer his objections; and He also made Hitchens aware of evil. Why read The Faith of Christopher Hitchens? Because one can’t help but be struck by God’s graciousness in the life of Christopher Hitchens. To buy a copy at Amazon.com click here or get it at Amazon.ca here. I got a free copy of this book for review purposes but, as you might suspect, that has no impact on the sorts of evaluations I give. As a self proclaimed Christian Agnostic, I am counting down the days when this book is delivered to my Kindle. Eager to learn more about the man who has opened my eyes towards the world and his fluid like prose, which is the prime reason on why I fell in love with his works years after his death. Your review is the only full review that i have found online, and I believe that after reading your review, my patience will surely be rewarded in the end.